Posted On August 31, 2016 by Team iCynosure. Through the passage of time, you meet people that could turn your life around, who could be your family, teachers, people you look up to, or just about anyone. Life is full of positives; you just need to look in the right way with the right frame of mind. Growing up in a house full of children is tough, but it is fun. However, my parents being professionals themselves were too busy to be bringing us up single-handedly. That’s when she came in, Preeti our nanny. Having heard some terrible stories about caretakers, we didn’t open up to her. As the days passed we slowly accepted her presence and depended on her for literally everything. Being a nanny is kind of weird, if I think about it, now that I’m a mother. As a nanny; you spend the entire day trying to do things for someone else’s child, feed them, bath them, protect them and in your own way fall in love with them. When I turned ten, I remember we went to our native place and I was lost in the village fair. For an excruciating few minutes I wandered around looking for my siblings, and when I saw them at a distance looking frantically for me, I ran towards them and threw myself at Preeti. It took me some time to realise that it was her who I expected to take care of me, it was her who I trusted to make right any wrong that may happen. It was then that I realised that she was now one of the most important presences in my life. Not only had Preeti masi earned my trust and love through her small special gestures inspite of my initial apprehensions but also my lifelong commitment to her through the personal relationship we had built together. I am sure she all had full faith and support of my parents as they left me in her care. 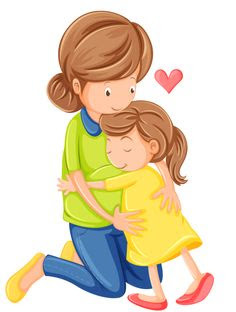 Today at a ripe age of 60, she keeps telling me that she is ready to go back home, but I insist that she is home, doing what she likes best, taking care of a little girl. Preeti masi not only had a huge part to play in my life but now she plays a larger role in my daughter’s life. As a parent, I don’t feel threatened by her presence, her immense love and affection for my daughter and the manner she is a ‘maa’ to her. In fact, she is the only one I trust with my precious #PrincessHeer. Do you have a similar relationship that began unexpectedly and has grown to become that will last forever? The Exide Life Insurance’s My Money Book is one such relationship that we must nurture to protect our loved ones.